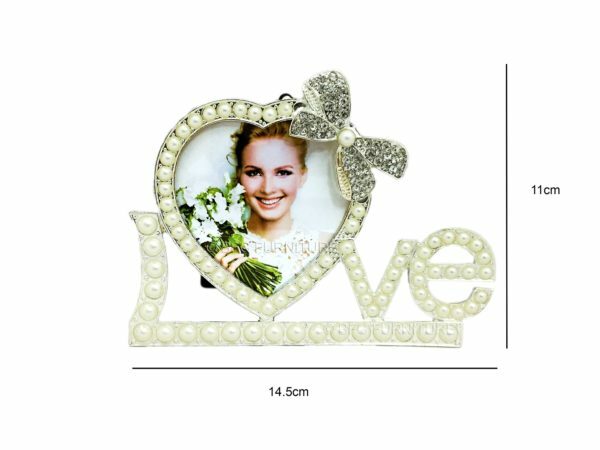 Sweet and elegant, our LOVE Photo Frame is a lovely choice for your home, or would make an adorable gift for someone close to your heart. This creative photo frame spells out the word Love, with the letter o formed into a heart shape, and space to place your photo in the middle. 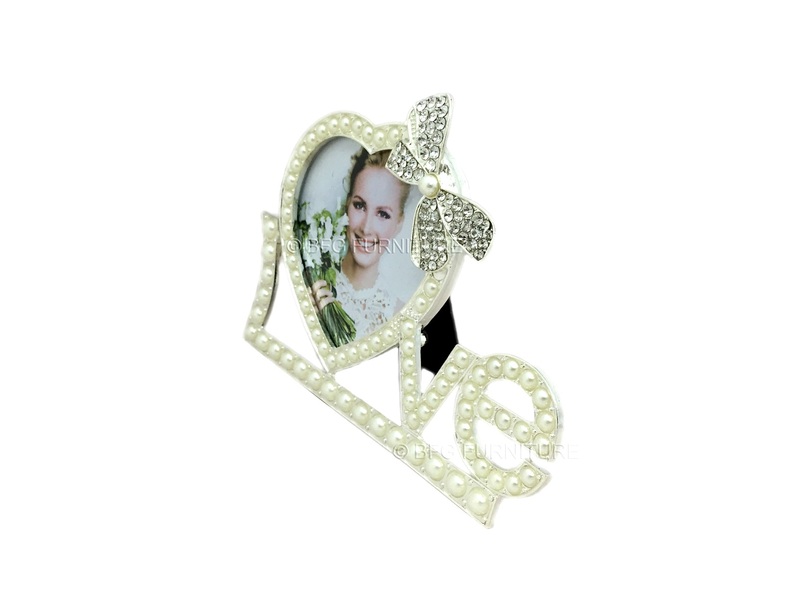 Each letter is covered with lustrous faux pearls, with a sparkly diamanté bow trim at the top adding a romantic finishing touch.